thonnamkuzhy: Shiv Sena chief Bal Thackeray passed away. 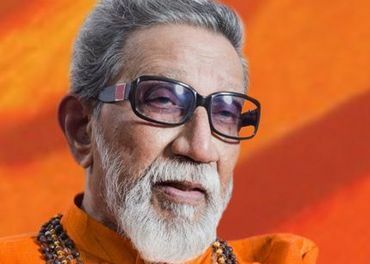 Shiv Sena chief Bal Thackeray passed away. Shiv Sena chief Bal Thackeray died on Saturday(17.11.2012). He was 86. Thackeray died of cardio-respiratory arrest on Saturday at his home. He was born on January 23, 1926. Thackeray started his career as a political cartoonist. He is survived by his sons, political heir and Shiv Sena executive president Uddhav Thackeray and filmmaker Jaidev. A widower, Thackeray's wife Meena and his eldest son Bindhumadhav passed away in 1996.